Tobacco: hundreds of complaints against Chantix filed in the U.S.
Over 1,200 complaints were filed in the United States against the side effects of Chantix, a smoking cessation drug from Pfizer accused to cause suicidal statements, or even acting out, it was learned on Thursday from sources. Early this year when making good resolutions may include smoking cessation, Chantix (varenicline) – authorized the U.S. market in 2006, French in 2007 under the name Chantix – is the subject many television commercials touting its particular merits. All records from all United States has been centralized in a federal court in Alabama (south) which, according to a statement carried by AFP from court records, has recorded more than 1,200 individual complaints Chantix consumers or their families. The procedure has been entrusted by the American judicial body responsible for centralizing files with multiple complaints from different states to a single Judge Inge Johnson. If she is still in its infancy, it could lead to a very large check from the U.S. lab, as long as justice establishment failures in the conduct of clinical trials prior to marketing the drug. The main plaintiffs’ attorney, Ernest Cory, has told AFP still expect the filing of “a thousand other” complaints “negligence” against the U.S. pharmaceutical company Pfizer. “Most cases reported involve neurological problems,” he says, citing “suicide, attempted suicide and” blackouts “and suggesting, among the 1,200 complaints already filed,” well over a hundred suicides”. “60% of complaints talk about suicide attempts or completed suicides,” he adds. 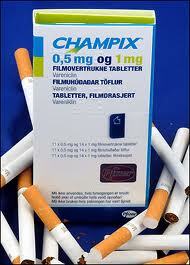 Questioned by AFP, Pfizer said that “there is no scientific evidence that Chantix has caused neurological injuries reported by the complainants.” “The Chantix is an effective treatment for many smokers who want to stop and we intend to defend this useful drug,” said Victoria Davis, spokesperson for the laboratory. Several scenarios are possible in the proceedings and “moving quickly”, said Cory. He excluded the possibility of it reaching a single trial of Chantix, saying that each individual complaint is a “unique case”. Judge Johnson could establish a general outline of the case and refer the complaints in each of their home jurisdiction or to organize itself a trial or more copies. The possibility of a global financial agreement between Pfizer and the plaintiffs – such as that concluded by Merck in the case of Vioxx, an anti-inflammatory causing tens of thousands of heart attacks – is also conceivable, although Mr. Cory has provided an immediate “know nothing”. If the plaintiffs win their lawsuit, it is also possible that the U.S. Food and Drug Agency (Food and Drug Administration, FDA), which has already demanded the imposition of stricter warnings on packages of Chantix, decides to run withdraw the drug from the market.